How to win the lottery for pottery. Photographed by Hannah Costello; Florals by Ashley Louie of Wild Club. "I grew up in a family whose car screeched to a halt anytime we saw a 'pottery for sale' sign on the road." Rukmini Giridharadas, founder Clay states in her bio. "It could be a mile from our house or in a little village we were exploring on a summer vacation. If the sign said pottery, there we were. Who screeches for pottery?" As it turns out, a lot of people. And there's a strong demand to rent and return these pieces, too. Clay originally sought out to simply bring talented artisans and ceramicists together to showcase and sell their work. However, with a thorough understanding of what customers actually need from their pottery, Giridharadas is strategizing. We had a chance to discuss her goals, aspirations, and hopes for the company. Here's what we learned from the savvy business owner. Lonny: Could you let us know what inspired the idea behind your company? 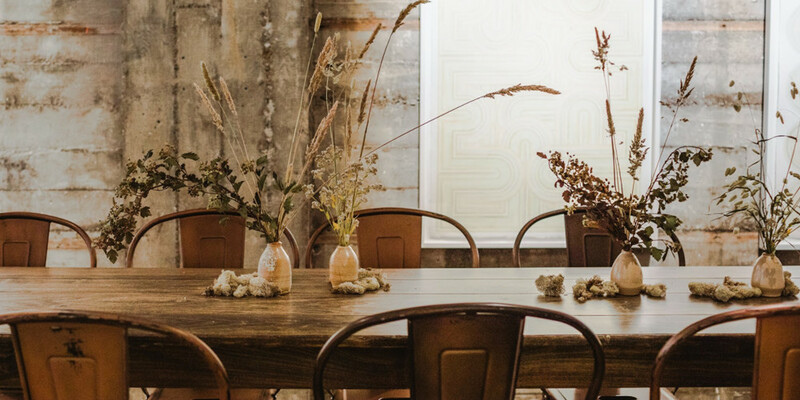 Rukmini Giridharadas: "I always loved ceramics, and I began reading about how chefs in San Francisco and beyond are using plates made by local ceramicists, celebrating and supporting a local, creative economy. This planted a seed in my mind: what if there was an easy way for chefs to choose ceramics from local artists? I needed to find out if ceramicists would be interested in new opportunities to collaborate with chefs and hotels, so I met several ceramicists and spent hours exploring their studios and process of making. They were interested in new ways of getting their work out into the world, and so I created Clay, and soon we were working with Namu Gaji, Sons & Daughters, Dosa, and the new West Elm hotel opening in Oakland next year. The ceramicists I work with have created incredible pieces for each of those places. Now, Clay has launched a rental line of ceramics, because we discovered that there was a strong demand to rent pieces and return them. We're excited about ways to celebrate ceramics and we're constantly exploring how to bring it into people's lives using new, innovative models." Photographed by Nathalie Cheng Photography; Florals by Melanie Tom. Lonny: What does it mean to rent ceramics? RG: "With Clay, you can rent beautiful ceramics, made by studio artists, and then return the pieces when you're done. The idea is to make incredible design accessible. 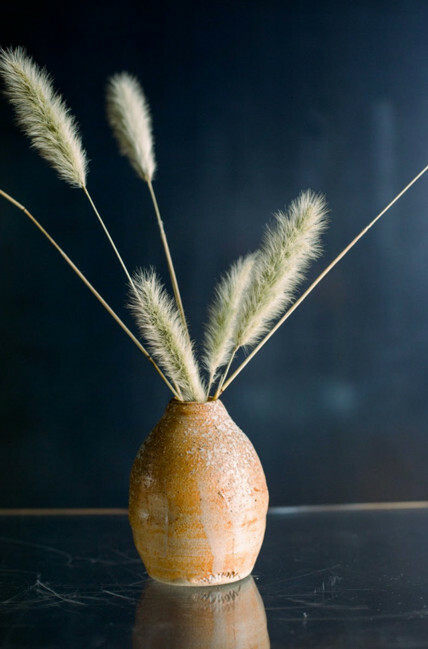 We launched our rental service with a line of gorgeous hand-thrown vases, made by ceramicist Lynn Mahon in his studio in the Mayacamas Mountains. We've been working with incredible florists who rent centerpiece and bud vases for weddings and events. 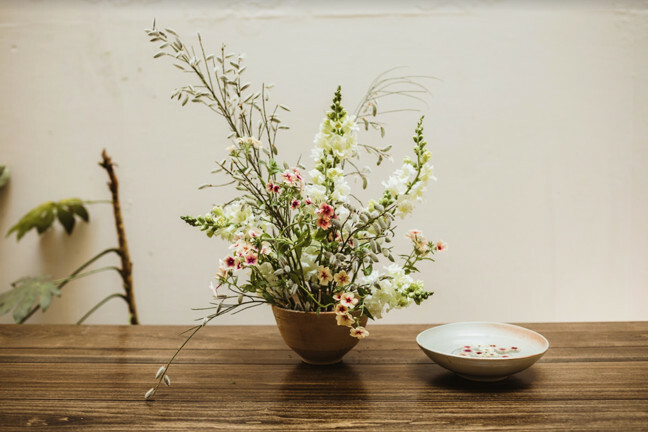 We've now opened up the site so that anyone can rent pieces, from florists across the US to people having dinners at home that want beautiful pieces on their table. Just like you can rent dresses, cars, rooms, furniture, and movies, now you can rent ceramics. If you're interested, you can go to rental.pieceofclay.co, and request an invite." Lonny: What do you hope to bring your customers? RG: "I hope to give my customers access to beautifully designed, modern, organic ceramics through a very simple renting platform. I believe that spaces come alive with hand-made ceramics: the texture, the slight imperfections, the hues and feel of the pieces all lead us to pause and consider what it means to make things with our hands. I hope each customer feels that, especially since so many of us spend hours in front of screens every day. Finally, through choosing to rent hand-thrown ceramics as opposed to factory-made products, each customer is supporting an artist and the creative economy, and so I hope they feel proud of that contribution. Customers can also buy pieces for their homes through our site pieceofclay.co, and there is a wonderful, hand-picked selection. Lonny: Finally, what eventually drew you back into your original love for ceramics? RG: "I had always thought about returning to making ceramics when I was retired. But that's 40 years from now, and I wanted to move up the dream on my timeline. Why not start now? Every new venture is uncertain, but the moment I started dreaming up ways to work with ceramics, I felt like I was returning home to something I care so deeply about. I thought about creating a studio to learn ceramics, or making my own, but ultimately I realized I was much more excited about working with artists who make phenomenal work, and creating new opportunities for them. I have worked really hard for that goal ever since." Check out all of the stunning ceramics Clay has to offer here.